Spring is slowly upon us! 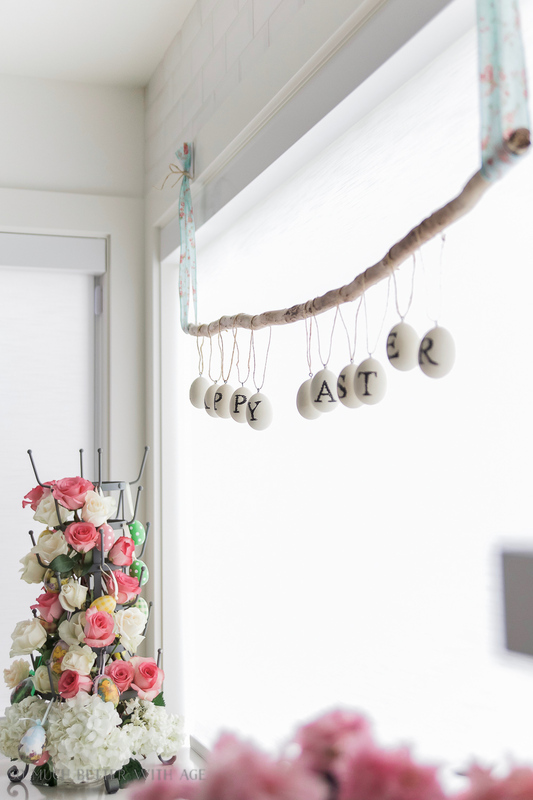 Check out my French vintage spring tour and how to make an Easter egg stick garland. 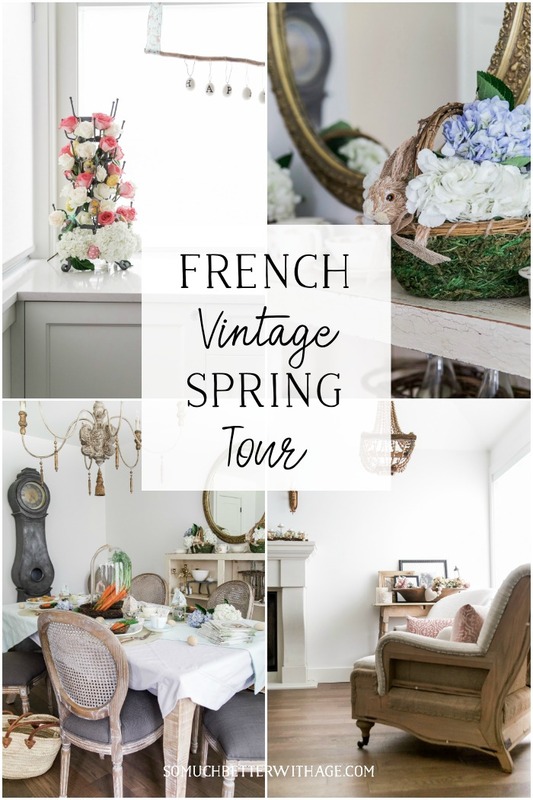 Today I’m showing you my French Vintage spring tour and also how you can create a fun and unique spring or Easter garland made from a stick! I’ve had so much fun decorating for spring this year because it’s soooo cold and yucky outside and I’m hoping that all these flowers inside will help with the growing of them outside. 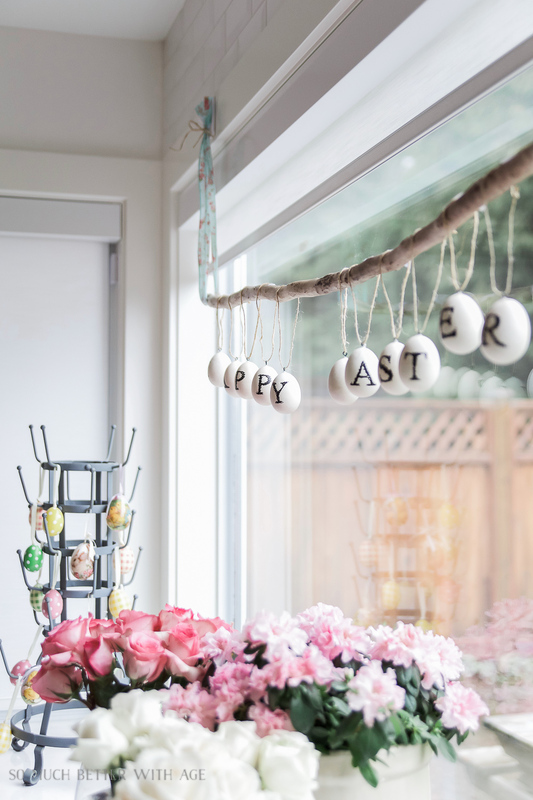 I’ve already shown you my kitchen all decked out for spring, the Happy Easter and Bunny printables on a pallet sign, and the super cute glass Easter jars with bunny ears. 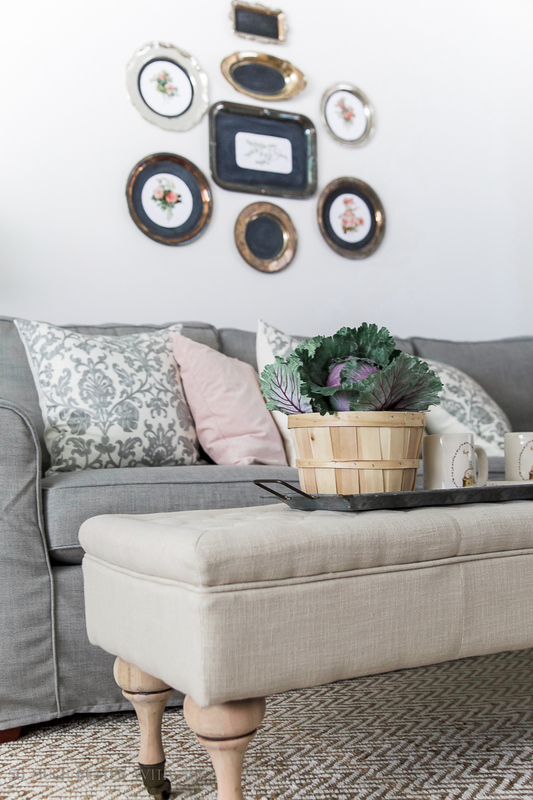 I’m also participating in the Cozy Spring Homes blog tour hosted by Rachel of Shades of Blue Interiors and Country Living Magazine so be sure to check out all the spring inspiration at the end of this post. 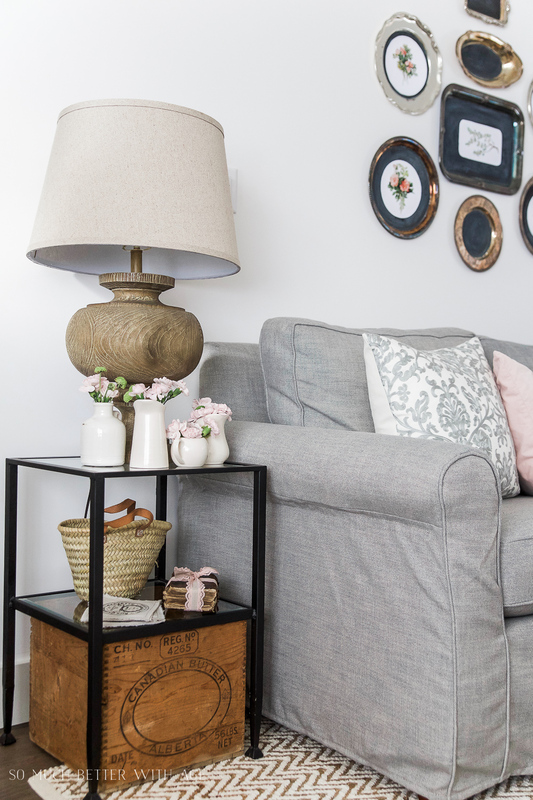 My neutral furniture is the perfect backdrop for the touches of pink flowers and pillows. 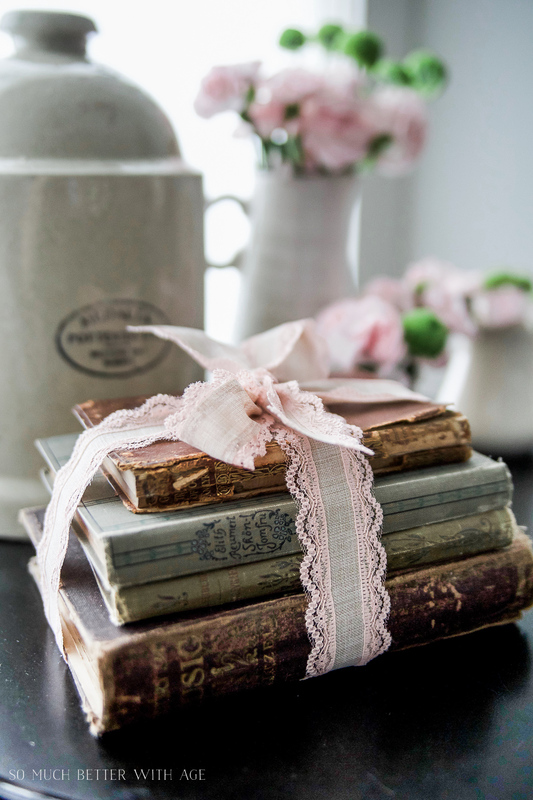 Even some old books got some pink treatment with a beautiful pink ribbon. 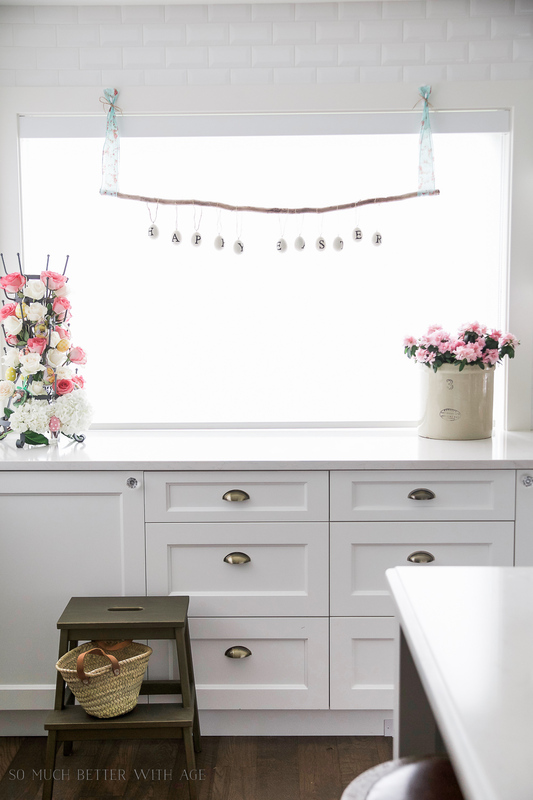 I just did a post on these spring flower printables on the silver platters. Such an easy way to add some unique art to your walls. Flowers can be added to multiple little containers, in this case mini pitchers, instead of large vases. 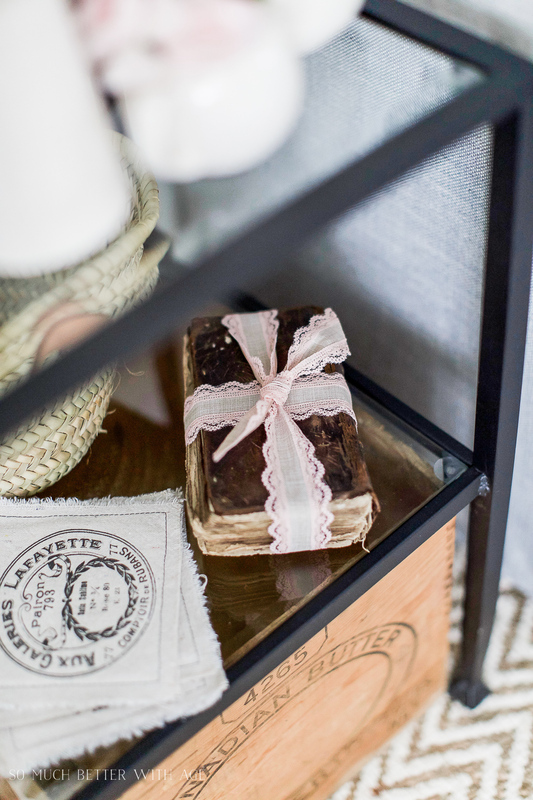 Some more pink ribbon wrapped around an old French bible I picked up in France last year for Heather Bullard’s The Academy. I love these faux flowers I found at a local florist shop. They’re perfect added to an apple basket. 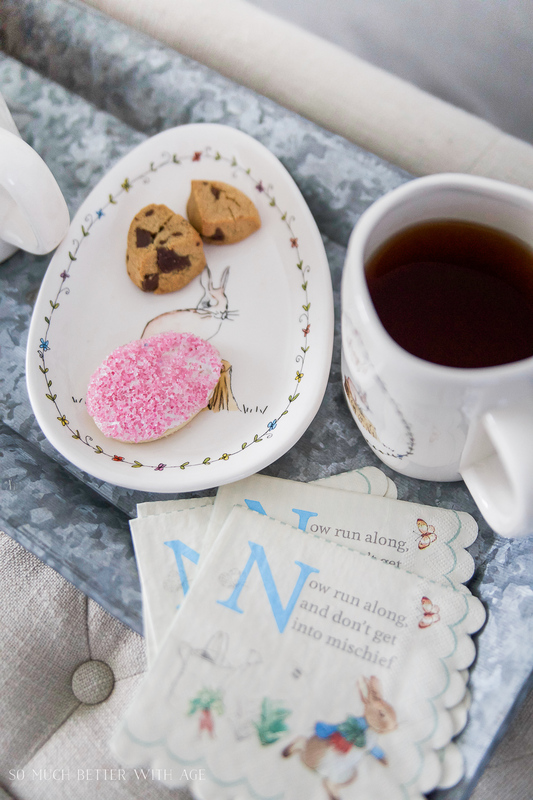 I picked up these Rae Dunn Easter mugs and plates from Home Sense the other day. Too cute! 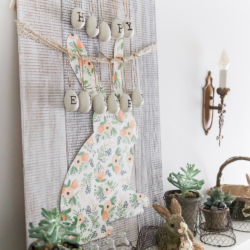 I love the Peter Rabbit inspired Easter table I created. The carrots under the cloche are my favourite! Here is the little project I made this week that is so cute! These little eggs I bought years ago but I recreated them here. Place two Command Strips a little bit closer in width than the stick above the window. 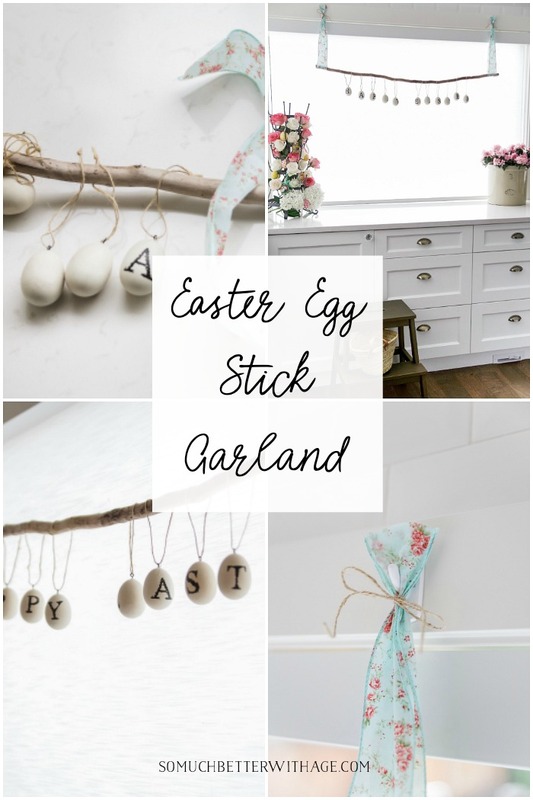 Add your eggs to the stick. These eggs spell out Happy Easter. 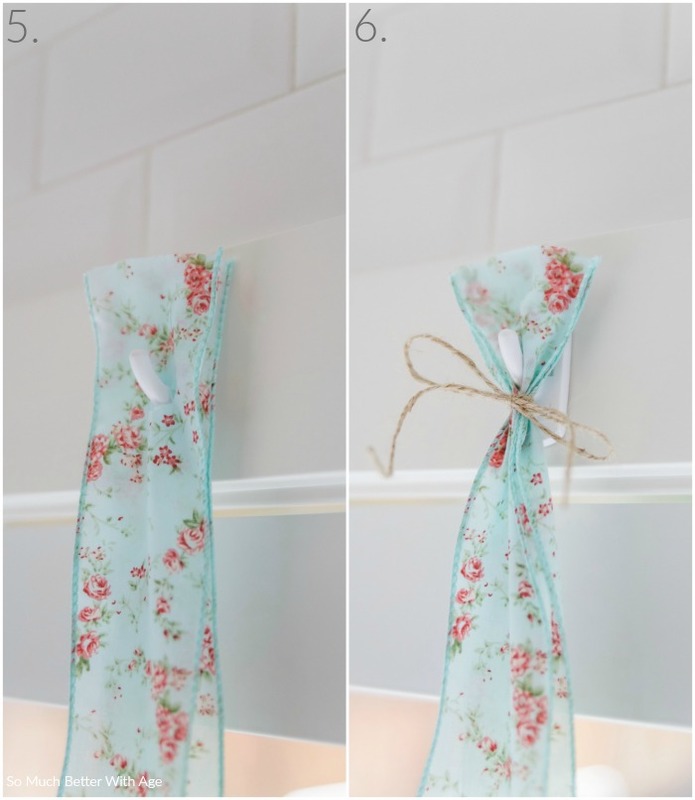 Measure approximately the ribbon length you’ll need to suspend the stick from. Double that length and fold in half. You’ll need two ribbon lengths for each end of the stick. Cut a slit through the top of the ribbon making sure to go through both ends. 5. Hang the ribbon through the slit you’ve cut. 6. 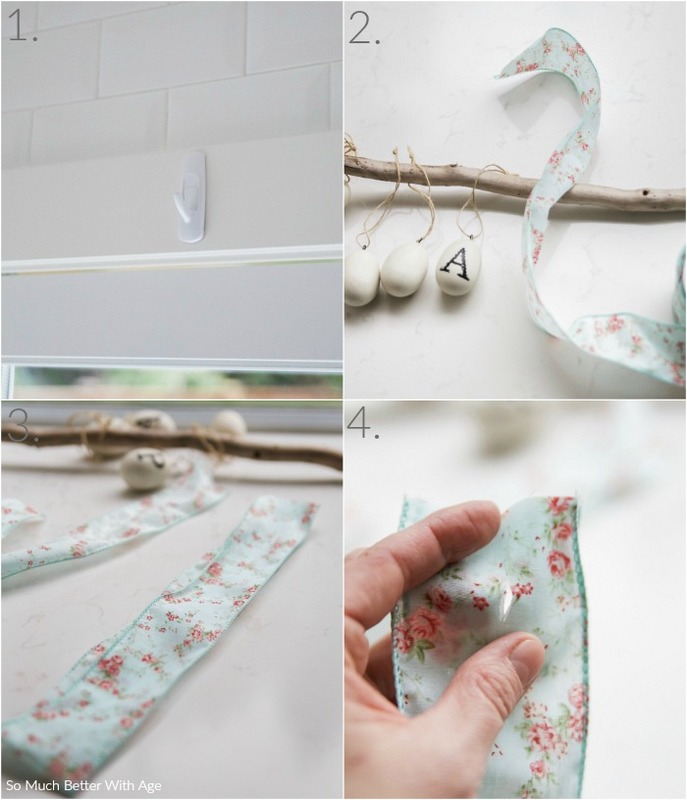 Add some twine under the hook and tie in a bow. 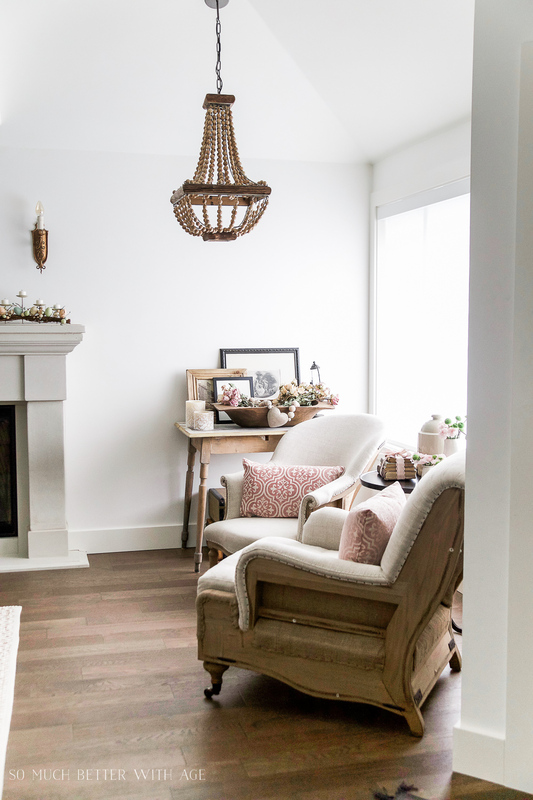 Projects that are simple, natural and beautiful are the best kind of projects. In the photo below, you’ll see what it looked like before I decorated the drying rack (AKA cup rack) with flowers. I’m so glad you joined me in this tour today. 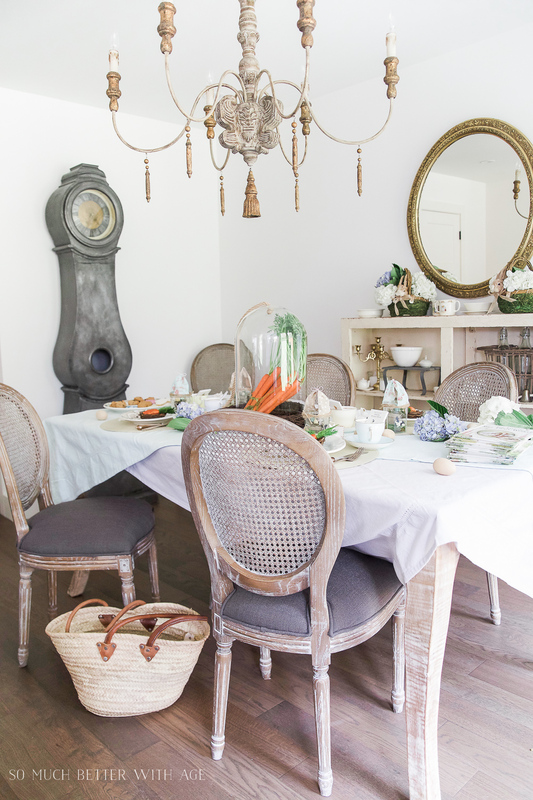 Now be sure to check out how my lovely blogging friends decorated their homes for spring! 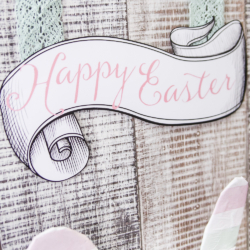 « Spring Flowers on Silver Platters – Free Printables! 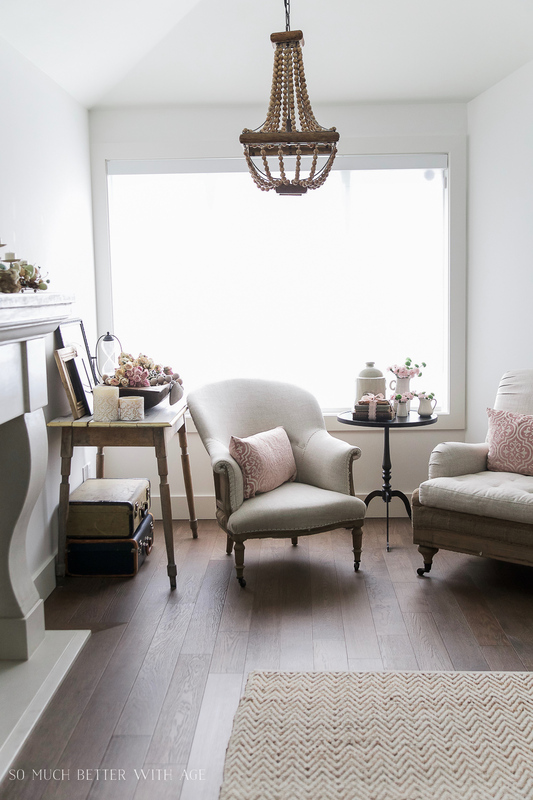 Love, love the pink – it is cheerful, yet so soft! 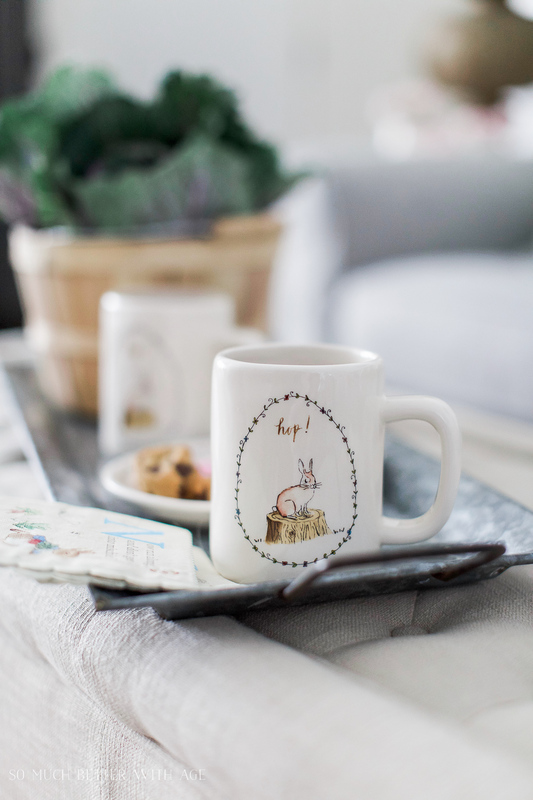 Also, love the bunny mug! 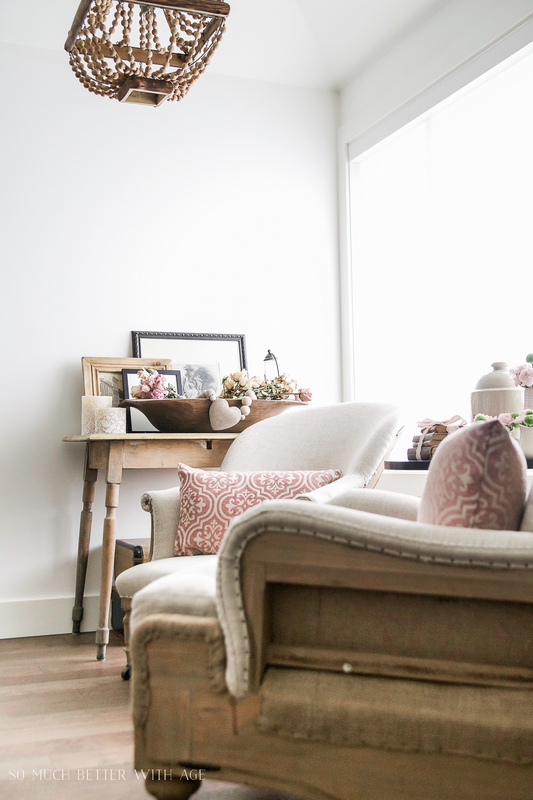 Your home is just lovely! Love the pink touches of ribbon and blooms, and especially the floral prints on your silver platter collection. Thanks so much for sharing! hey girl- great post! Love all the ideas! So cute! Jamie your photography! It’s so bright without being too blown out and there is the perfect amount of detail and contrast. I adore everything I saw. 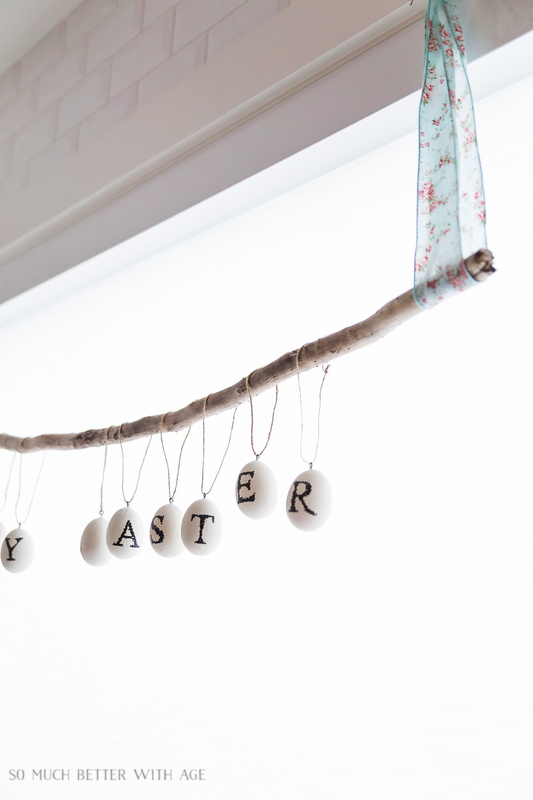 And your hanging easter egg sign is so darling! THANK YOU for being a part of this hop! You’re so sweet, thanks Rachel! Thank YOU so much for having me on this tour friend. Enjoyed your post and pictures very much! The touches of pink are just right and I have some ideas now. Thanks! Thanks so much, Karen. Glad you were inspired! Love your home!! 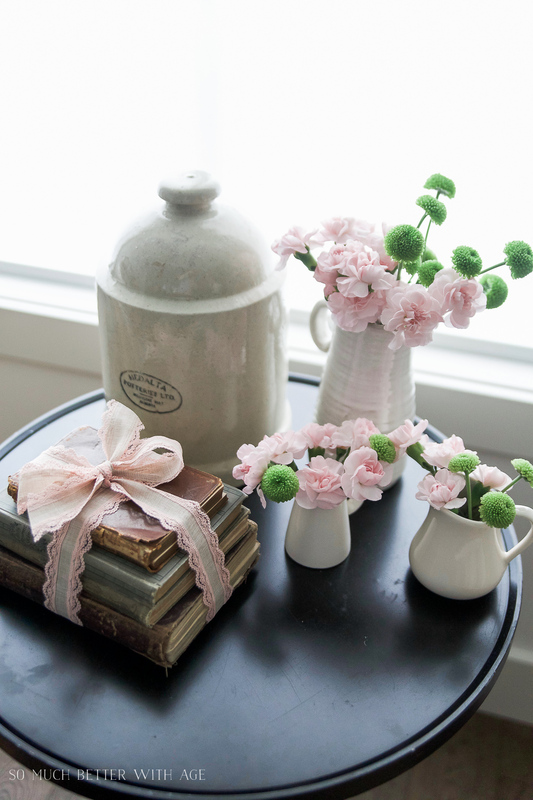 Over the years I have also added pink…….it is so fresh and pretty……and always makes me smile!! I’m really loving the pink. Thank you so much! 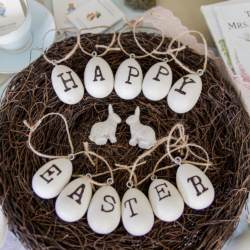 Love the your Easter Ideas, just too cute! So beautiful, Jamie! Your home just keeps looking more breathtaking. 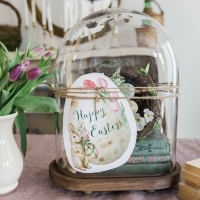 Love your Easter Egg project! 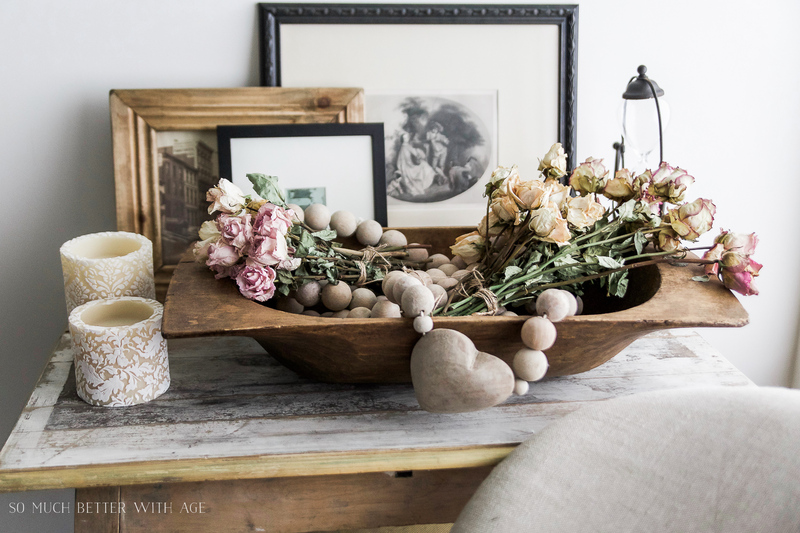 So many pretty things for spring in your home. 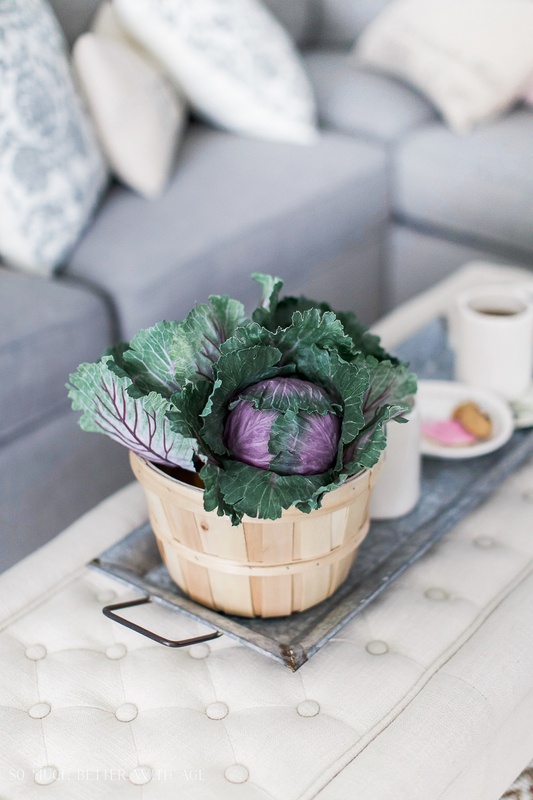 Love that sweet cabbage!! Thank you for sharing on Merry Monday! Hope to see ya next week! 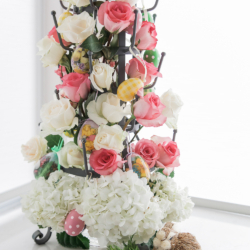 So many pretty ideas! Makes me excited for spring!